Training Course for Promoting Stable Employment of Foreign Residents in FY2015 has been completed on March 18. 4,106 foreign residents from 79 countries including Brazil, Philippine, Peru, and China, participated this year at 84 areas in 15 prefectures. The participants from various countries with various backgrounds studied diligently to improve Japanese communication skills and acquire knowledge such as labor-related laws, regulations and common practices at work for their steady life in Japan. 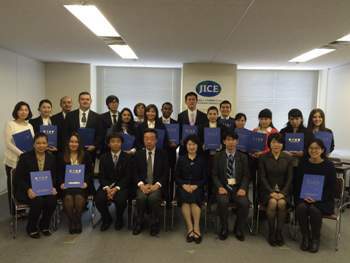 JICE will carry on the Training Course in FY2016 to support many foreign residents.